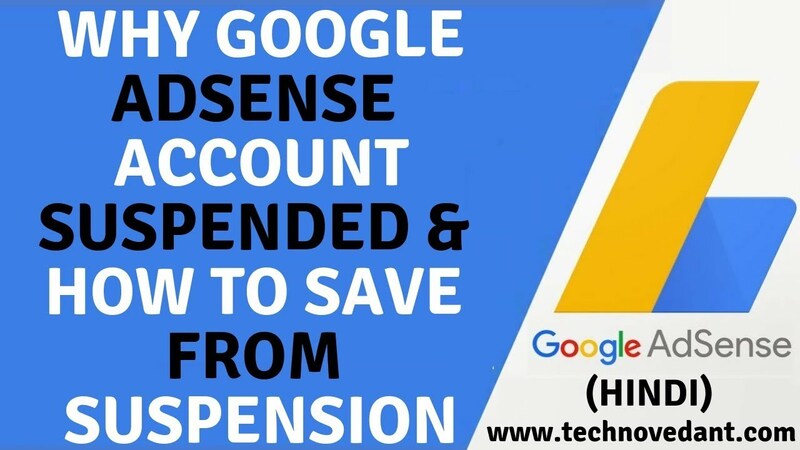 Why google adsense account suspended & admob account disabled🔥How to save adsense from suspension. Hey guys in this video I'm going to tell you why everyone admob and AdSense account getting terminated disabled and suspended so there is the top reasons why everyone AdSense and admob accounts are getting disabled and i'ii tell you how to save your google adsense and admob account from terminated disabled and suspension. Please don't forget to Like, Share, Comment and Subscribe to our Techno Vedant Channel for more videos.